An intent is an abstract description of an operation to be performed. It can be used with startActivity to launch an Activity, broadcastIntentto send it to any interested BroadcastReceiver components, and startService(Intent) or bindService(Intent, ServiceConnection, int) to communicate with a background Service. 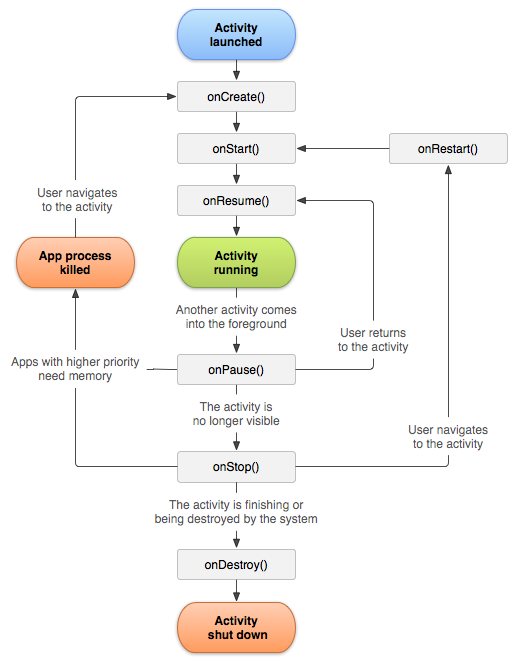 An Intent provides a facility for performing late runtime binding between the code in different applications. Its most significant use is in the launching of activities, where it can be thought of as the glue between activities. It is basically a passive data structure holding an abstract description of an action to be performed. Same as startActivity(Intent, Bundle) with no options specified. Common Intents on Google developer. // Here, we create the Intent with the action of ACTION_VIEW. // This action allows the user to view particular content. // This is a check we perform with every implicit Intent that we launch. ShareCompat.IntentBuilderIntentBuilder is a helper for constructing ACTION_SEND and ACTION_SEND_MULTIPLE sharing intents and starting activities to share content. ShareCompat.IntentReaderIntentReader is a helper for reading the data contained within a sharing (ACTION_SEND) Intent.